“It’s time to put public safety first” says Ford. 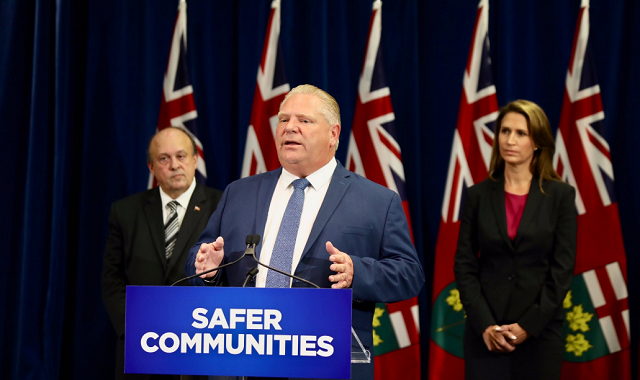 While other politicians talk about a handgun ban that would only punish law-abiding Canadian gun owners without stopping crime, Doug Ford is pledging $25 million to actually focus on stopping gang and gun crime. It’s time to put public safety first. Today I was joined by Minister @MichaelTibollo and Minister @C_Mulroney to announce that our government is investing $25 million over four years in new funding to fight gangs and guns in the City of Toronto.